Ghost has an unblemished Grammy Awards track record. 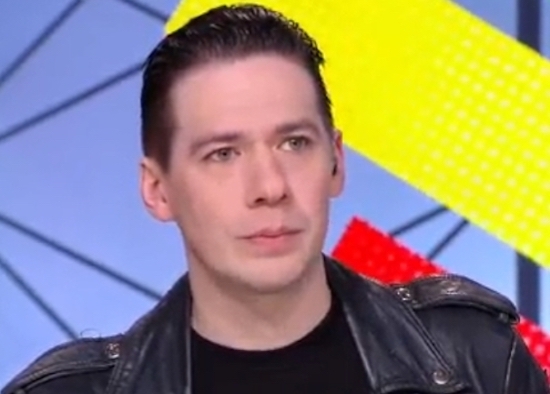 And Tobias Forge [Dana’s note: Yes, that is him in an umasked picture], founder, and frontman,of the theatrical Swedish hard rock group, is hoping it stays that way on February 10th in Los Angeles. …Forge and Ghost have a jammed year ahead, with touring in Europe, the U.K. and Australia and a lone North American date right now on May 18 at the Chicago Open Air festival. Ghost also plans to continue its popular, and humorous, Prequelle video series, whose Chapter 6: The Visit came out January 11th… Forge is also focused on Ghost’s next recording project, which he says he’s been “working on for months now,” with plans to be in the studio again by the beginning of 2020 with a release later that year. The Grammy Awards are a f–king joke! I’m surprised they still have a best rock category! Even though Ghost should win, they’ll probably give the award to some idiot like Justin Beaver! I’ll have to wait till the next day to find out, you couldn’t pay me to watch the shammys!! – I’d be ok with Ghost winning the award for best rock album, but IMO, Alice In Chains really deserves it for Rainier Fog, (sorry brother Rattle!) 😉 But again, hearing how the shammys have been operating over the last 25 years or so, nothing would surprise me, not even giving the award to the little Beaver boy! You’re correct, brother Doug! I think Ghost’s “Prequelle” should win Best Rock Album! I absolutely love Ghost, they’re a modern day version of KI$$. Tobias has long term vision for Ghost’s future, and he has it all planned out…themes, costumings, etc….this guy just works hard at his craft. I am curious about one thing…..Tobias came in a costume of sorts when he was recently interviewed by Eddie Trunk, with Eddie claiming that Tobias was as himself (which he clearly wasn’t by being dressed in costume). But when Tobias recently interviewed for a French television station, he was completely “unmasked”, dressed in his street clothes, and truly as himself. Was this a strategic maneuver by Tobias or something else????? The still picture of Tobias, featured in this story, is from that French interview. It’s actually the guy from Friends. I am a big fan of their song Circle. Cirice is pretty good too.